The terrific new Magical Christmas Collection features a mixture of traditional and contemporary designs, this collection is an absolute show stopper! 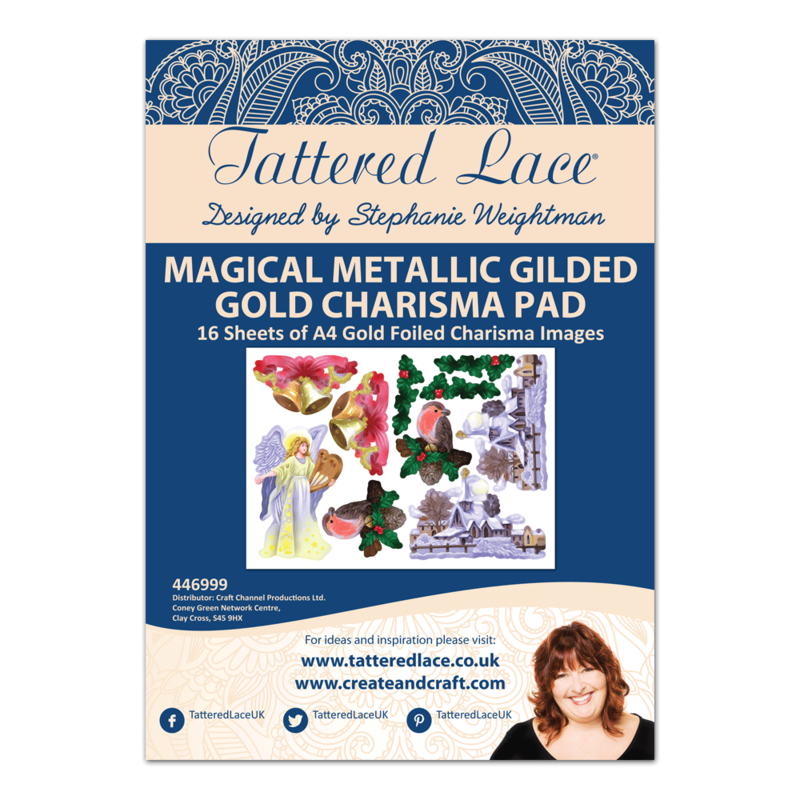 This fantastic Magical Metallic Gilded Gold Charisma Pad features 16 A5 Charisma sheets which match the beautiful Magical Metallic Gilded Gold Die set. The Charismas are foiled, giving a fabulous seasonal effect. Charisma images are so popular and easy to use. Simply line up your die with the co-ordinating design, secure with low tack tape and feed through your machine. This product is part of the Magical Christmas Collection.